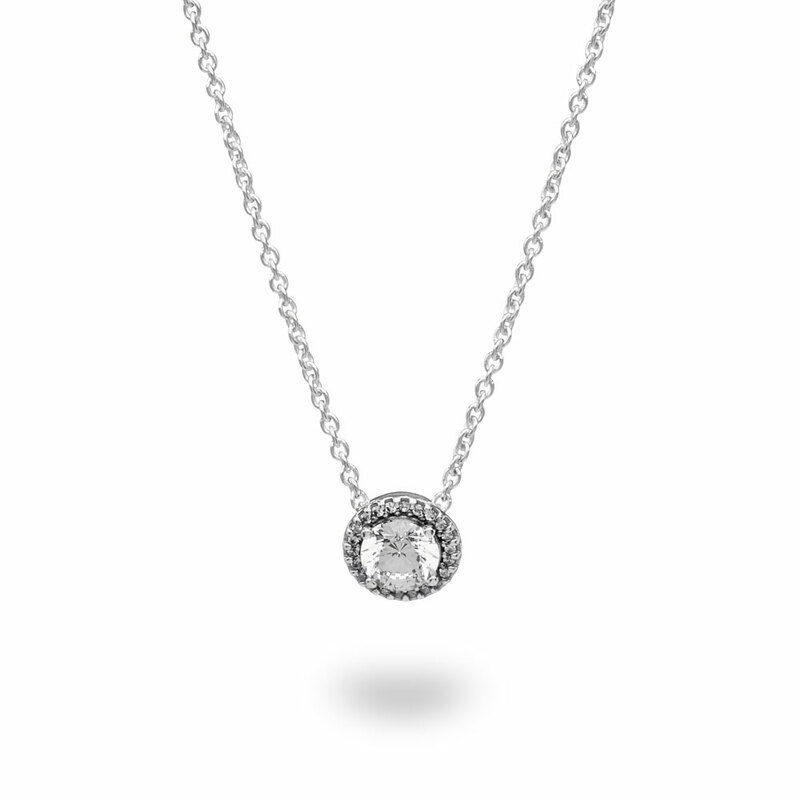 Radiating timeless elegance, this gorgeous sterling silver halo necklace will make any neckline look dazzling with its chic details and subtle finishing touches. This sparkling necklace is available as a 45cm chain. Available online or in-store. Classic Elegance Necklace is rated 5.0 out of 5 by 9. Rated 5 out of 5 by Jose2838738 from Great necklace! Bought this for my girlfriend for her birthday. She absolutely loved it! The necklace is pretty thin which is what she wanted. The pendant was a good size too. Not too big not too small. Shipping was 100% accurate. Rated 5 out of 5 by TeriR from Beautiful I bought this a couple weeks ago, for my daughter to wear the day of her Quincenaera! It is a good size, not too big, not too small. It is going to look so beautiful on her! Rated 5 out of 5 by sarahcontreras30 from Best gift ever! My boyfriend bought this necklace and the matching earrings for me on Christmas and they’re my favorite and so beautiful!! I wear this necklace every day and I cannot get enough on how perfect it is. I always get compliments on it! Rated 5 out of 5 by Lexielou229 from Beautiful I received the necklace and earrings as a birthday gift from my husband. They are absolutely gorgeous. Rated 5 out of 5 by Ree7 from Beautiful necklace I bought this for my sister as a thank you for becoming my sons godmother. It’s absolutely beautiful. Rated 5 out of 5 by First time buyer from Elegant Perfect Mother’s Day gift! She loved it and was perfect gift to wear to church.